As a mother, the one thing that troubled me the most regarding my baby’s health was whether my baby was staying hydrated or not. I’ve consulted several pediatricians who gave me the assurance that breast milk was enough for the first six months. However, after that period one cannot afford to overlook the importance of water consumption. 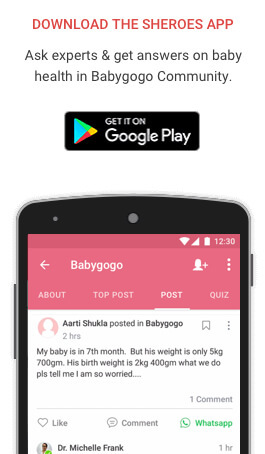 A baby’s diet may not necessarily include hydrating foods or hydrating drinks unless parents make a deliberate effort to introduce the right components in the diet. Many parents wonder how much fluid babies and toddlers need. 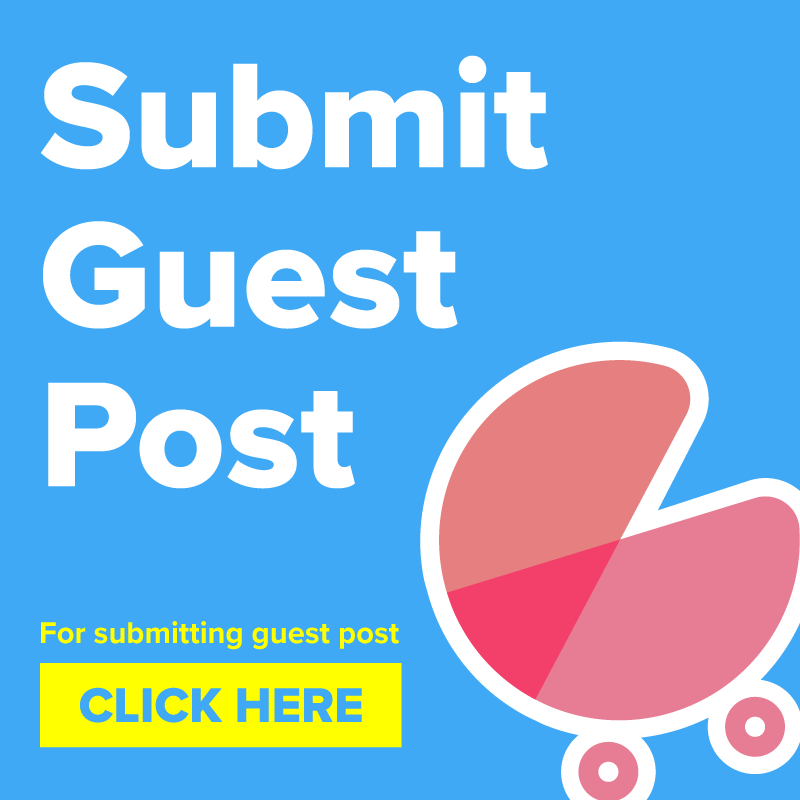 At the outset, we need to learn the appropriate fluid intake according to the child’s age. These are clearly defined ‘Nutrient Reference Values’ for water intake, set by National Health and Medical Research Council. The proper fluid intake for babies in this age group is provided by breast milk. 800ml/day from breast milk, water, food and other beverages. The toddlers in this age group require about 1.4L per day which can be acquired from hydrating foods, hydrating drinks, and water. Staying hydrated is important for kids because not only does it help in digestion but it also moves nutrients and waste in the body. From controlling their body temperature to protecting and cushioning the organs, hydration does wonder! The amount of water content in a watermelon is indicated by the name itself. 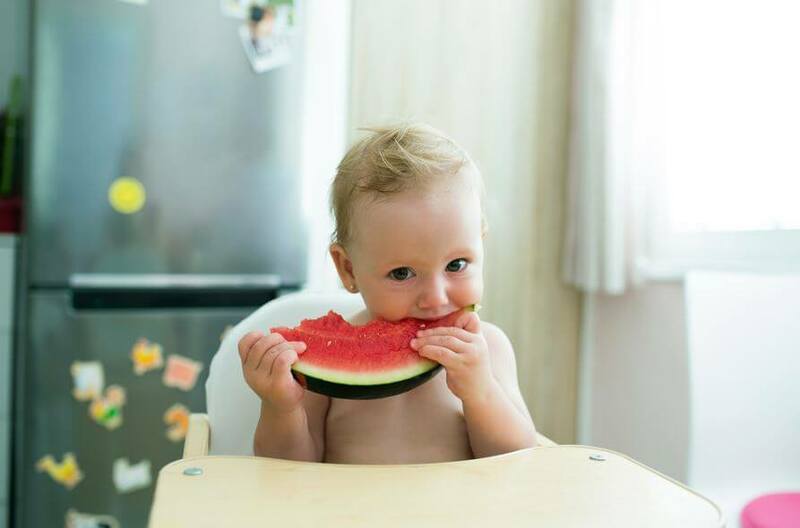 Watermelon isn’t only a great hydrating food but it is also rich in nutrients for the baby’s body. Also, children love eating watermelon, especially during the hot summers. Make your own flavored water at home, all you need is to buy fun reusable bottles and fill them with freshly cut fruit and water. The bottle will come with a strainer that will help your toddler consume water and not the fruit. Your toddler can drink the water. The best fruits to use are oranges, mandarins, kiwi fruits and so on. Not only are these enough to keep your babies hydrated but they also add the great value of vitamin C.
Vegetables are great for keeping babies and toddlers hydrated, however, the task here is getting your children to eat them. Kids might not prefer eating a pumpkin but they would love to have a fun smoothie. You can easily whip up a fun smoothie for your kids with fresh vegetables. 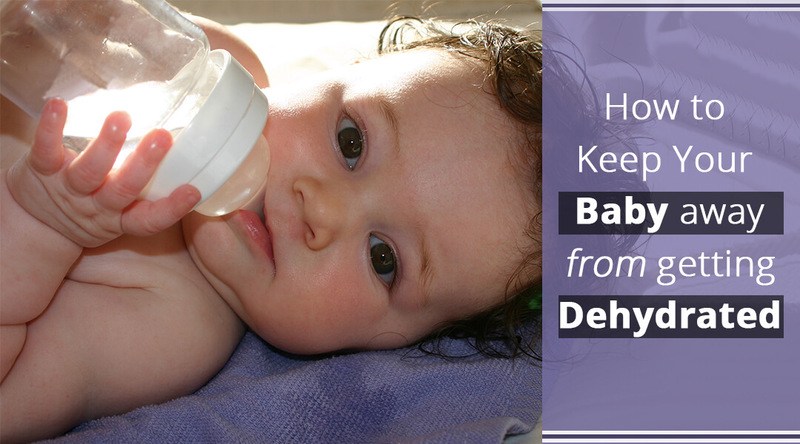 It’s not necessary that your baby should only consume fluids to stay hydrated. There are many fresh fruits like strawberries, peaches, berries, grapes, and bananas that are great for hydrating your child as well. Ensure that you feed your baby fresh fruits at least once a day. A hydrated baby is a healthy baby. Many parents make the mistake of giving their children water only during meal times. Ensure that your baby always has water or fluids in their reach at all times. Try to make drinking water and other fluids entertaining and fun. This doesn’t mean letting your baby get soaked in water. It just means that you can try to add more water to the child’s diet in the form of smoothies, milkshakes, juices, popsicles, and so on. So, what are you waiting for? 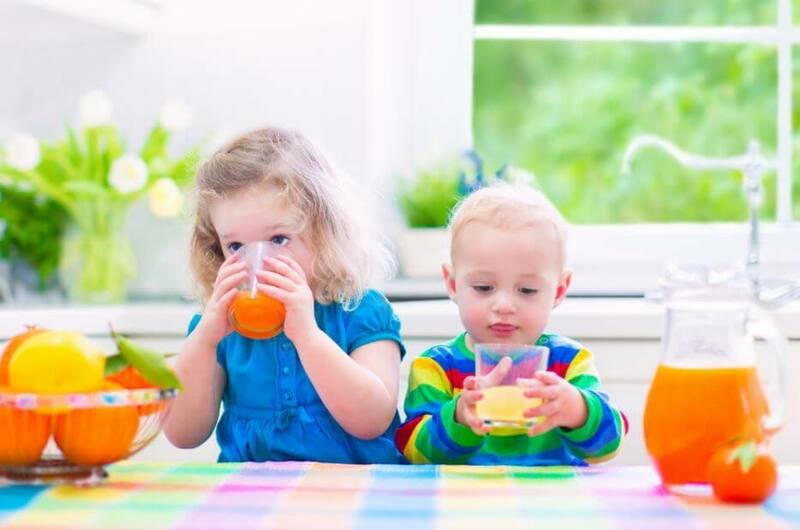 Hit the kitchen and help your toddler drink up!